The man known as ‘Mystic Mac’ last stepped in a professional boxing ring last time out but tonight he returns to his usual home of MMA within the UFC. Lets take a look at the McGregor Khabib live stream information, the Conor McGregor fight time tonight and more. After setting huge worldwide numbers in his boxing match with Floyd Mayweather in September of last year McGregor finally gets back into a professional fight tonight against Russian destroyer Khabib. 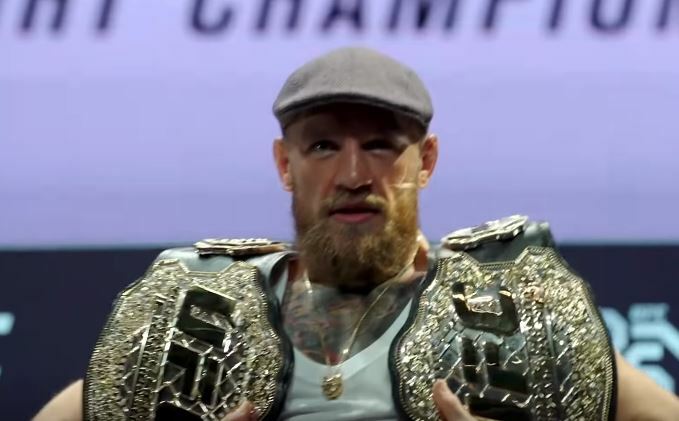 An opponent known for mauling his opponents on the ground and having superior wrestling, McGregor’s boxing skills tonight will only be useful if he can keep the fight standing. If he can do that however, the straight left hand and right uppercut could be key punches to putting his Russian adversary away inside the distance. Indeed, it’s McGregor’s boxing skills that are his best weapon inside the MMA world. TV coverage on Fox in the US for the PPV starts at 8:00 PM ET/5:00 PM PT. That works out for the UK as a 1am start or so. But don’t expect the main event until at least 4am or 5am at the latest Sunday morning which works out as 8pm-9pm local time in Vegas (West coast) or between 11pm-12am in the East. For those in the UK and Ireland the fight is exclusive to BT Sport if you want to watch or stream it there. It will be shown and available to purchase on television with Fox Sports 1.